National Theatre of Scotland’s new production of The Driver’s Seat, directed and adapted from Muriel Spark’s novella by NTS Artistic Director Laurie Sansom, is a richly rewarding and unsettling piece of theatre. 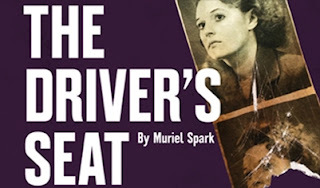 Originally written by Spark in 1970, The Driver’s Seat is a character study of Lise from her drudgingly dull days at her jobto a foreign foray. This new NTS production also incorporates a police incident room, as the officers hunt for a ruthless and clever killer. Sansom’s adaptation truthfully interprets the messages and questions posed by the source material, and the production plays with perception (a core element of the book). An early revelation casts a shadow to all encounters that follow and a palpable sense of dread oozes from the stage with every glance, glare, tick and heartbeat. We pore over every word, seeking to find out more about who the seemingly unsettled eccentric Lise is. The set, costume and video design are effectively thought out and designed by Ana Ines Jabares Pita (Sound Design is impeccably realized by Philip Pinsky, with great Lighting Design by Chris Davey). The Driver’s Seat utilizes a smart blend of live filming and theatre to crank up the tension and help us piece together the events along with trying to figure out Lise’s own state of mind. This is CSI: NTS. 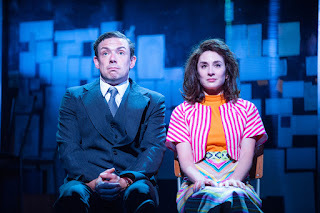 The 7-strong cast work together wonderfully to dodge and divert our thoughts from what happens next (a few beautifully played red herrings), however it is Morven Christie’s Lise who holds the story together while, ironically, portraying this woman who is falling apart. As you exit the theatre, your brain duly fizzing with activity, you realize that this taut and tense production of The Driver’s Seat will leave you with many more questions than answers… but then, that is precisely the point.